The book chronicles Andrés' experience cooking in Puerto Rico in the aftermath of Hurricane Maria. 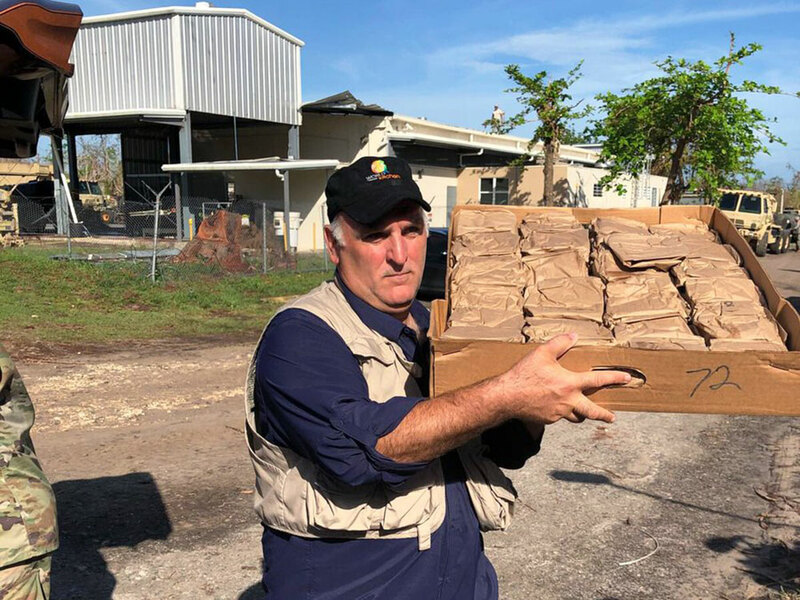 Chef and activist José Andrés is finishing up a book about his experiences feeding victims of Hurricane Maria in Puerto Rico, and he got the perfect pair on board to write the forward: Lin-Manuel Miranda, the creator of the hit Broadway musical Hamilton, and his father, Luis Miranda, Jr. In the wake of the natural disaster, Andrés and World Central Kitchen teamed up to feed around three million displaced or otherwise struggling Puerto Rican people—more than the American Red Cross. The chef documented his journey on Twitter, which is where we got the first hint that he was writing a book. Back in February, he responded to a tweet from a fan saying that his book is “coming." Just a couple weeks later, news surfaced that Anthony Bourdain’s book publishing imprint would publish it. We got a name, too: "WE FED AN ISLAND: The True Story of Rebuilding Puerto Rico, One Meal at a Time.” It will land on bookstore shelves this September. Miranda seems like an obvious choice to take part in Andrés' project: Not only is he of Puerto Rican descent, but the composer and actor is also an outspoken advocate for immigrants, just like Andrés. In a tweet, the elder Miranda quipped that he “learned a little English” while recording the audio version of the forward. In turn, Andrés thanked him and his son for writing the forward together and praised their contributions to Puerto Rican culture. Andrés has been focusing more and more on social activism lately, though community work has been a constant throughout his career: He handed out free food during a recent gun control rally in Washington D.C., and fed families who lost their homes during the volcano eruption in Hawaii. He’s being rightly praised for that work, especially what he accomplished in Puerto Rico: The chef received a standing ovation at the Oscars and was named the 2018 Humanitarian of the Year by the James Beard Foundation.